We are seeing increased interest in vegan wine. More wine lovers are asking us about it and more wineries seem interested in selling it. The problem we have with vegan wine is the lack of clarity around what it is. Who decided which wines are vegan and which are just pretending to be? There have been a number of laudable trends in the wine industry over the last twenty years. We've seen more wineries moving towards sustainability, and increasing interest in organic agriculture and a buzz developing around biodynamic wines. In each case, private organizations or government bodies have stepped in to create standards. Vegan wine is no different. These are still early days when it comes to standardizing what it means for a wine to be vegan. Luckily, Bevveg is stepping in to create some order. This firm was founded by attorneys in order to create certification standards for wineries that want to market and sell vegan wine. We had a chance to ask Carissa Kranz, Chief Compliance Counselor, some questions about how they plan to help consumers find true vegan wines. Wine is made of fermented grape juice, so why isn’t all wine vegan? Many people assume that all wine is vegan for this very reason.  However, throughout the winemaking process, various animal by-products may be used to augment the look and taste of the wine, leaving trace amounts of the animal product in the final beverage. What do wineries have to do to create true vegan wine? At BevVeg!, we believe that true vegan wine is a wine that meets the BevVeg! Vegan Guarantee. In order for a wine to bear our certification logo, we require proof that no animal ingredients or animal by-products are used in the processing, clarification, or filtration before bottling or packaging. In addition, we investigate source ingredients and their supplier and further inquire to ensure no animal testing. We also ensure the product manufacturing, bottling and packaging is not outsourced or sub-licensed to a facility that may compromise the vegan integrity or cause cross-contamination. If sugar is used, we require proof that manufacturer uses zero bone char. Since beverages have no labeling requirements, we require companies to disclose their product ingredients and winemaking process to us for third-party verification. As a law firm, we create comprehensive files for each product with all ingredients, source ingredients, and supplier information. Attorney's discern the product information, disclosures, and paperwork to ensure a true vegan representation is made. How can consumers determine if the wine they are buying is vegan? We encourage consumers to look for and ask for the BevVeg! logo to ensure that the wine they are purchasing is actually vegan-friendly. Consumers can also search for vegan-friendly wines on our website or by using our free app. Many wines have claimed to be vegan and been turned down certification by us due to a source ingredient or practice that could cause trace animal products in bottling. For most items you buy in the grocery store, you can simply look at the list of ingredients and ascertain whether a product is vegan or not. With wine, it’s not so easy. Unlike other food and beverage products, wine and other alcoholic beverages are not subject to the same labeling requirements as foods and non-alcoholic beverages. Under Section 510.450 of the Food Drug & Cosmetic Act (“FDA”) Manual of Compliance Policy Guides, wine is defined as having an alcohol content of 7% or more alcohol by volume (“ABV”). Wines with greater than 7% ABV are not subject to the FDA’s packaging and labeling requirements, meaning labels are not required to include nutrition fact panels, ingredient statements, and other statements found on “traditional” food and beverage products. There is no hard and fast rule when it comes to identifying vegan wines. We see a great deal of misinformation spread about ways to easily identify vegan wines. For example, we’ve seen claims that all unfiltered wine is vegan. This simply isn’t true. Just because a wine is unfiltered doesn’t mean it’s vegan and vice versa. What does it take to be a truly vegan wine? In order for a wine to be truly vegan - and to meet our Vegan Guarantee - no animal ingredients or animal by-products (or products that have been tested on animals) can be used at any stage of the winemaking or bottling process. Wineries will sometimes claim that their wine is vegan. However, the term “vegan” can mean different things to different people. For example, a winery might consider their wine vegan because the animal by-products used during the fining or filtration process are removed before bottling. The BevVeg! Vegan Guarantee means no animal ingredients or animal by-products (or products that have been tested on animals) can be used at any stage of the winemaking or bottling process, and no animal testing. We realize that websites exist, like Barnivore.com, which rely on information supplied by wineries regarding whether or not their wine is suitable for vegans. However, there are limitations to those kinds of sites. There is no third party verifying the information reported by the wineries, and we find that the information on those sites is often outdated and/or incorrect. When we look into the ingredients further and investigate the source ingredients, we are finding that the wines are not actually vegan, they just claim to be. Many times, we’ve encountered wineries who truly believed their wines were vegan, and we’ve had to turn them down because their source ingredients contained animal ingredients or animal by-products. The good news is, in addition to educating consumers, we’re also helping to educate winemakers about vegan winemaking practices. 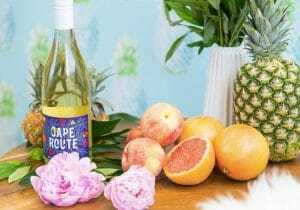 Winemakers that we’ve turned down in the past because of problematic source ingredients have told us that they plan to replace these source ingredients with more vegan-friendly alternatives so that they can get certified in the near future. How do you make sure wineries are being honest about their processes? In order to use the BevVeg! 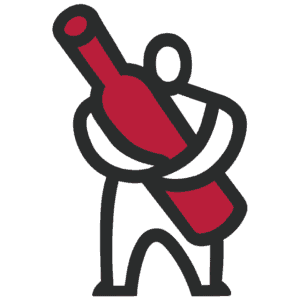 logo, wineries must complete a rigorous application process. As part of our application, we require signed affidavits by authorized representatives of the wineries certifying that all of the information provided to us as part of the application process is true and correct. This is a legal process to make honest legal representations. We are attorneys, and we make sure disclosures are consistent, thorough, and complete. We maintain comprehensive company files for each product and we only license the use of our logo to companies that are honest and transparent. Consumers want transparency and our label is one the consumer can trust. Are you the only group that certifies vegan wine? We are unaware of any other vegan beverage certification company. And we do not know of any other law firm that is dedicated to vegan compliance. Our company is unique in that we are owned and managed by a law firm, and we are here to regulate vegan since the government, at this time, does not. How many wineries have been certified so far? The interest we have received so far has been incredible. We are reviewing new wineries every day. At this time, we are in the process of certifying wineries all over the world - everywhere from Napa Valley to South Africa to Australia. With representatives in the United States and abroad, we are eager to expand our international reach. Are biodynamic or organic wines also vegan wines? We are focused on the winemaking process and ingredients to ensure compliance with our vegan guarantee. We are collecting data on farming and agricultural practices as part of our research into each product. Just because something is organic or biodynamic, does not mean it is vegan, and vice versa. Biodynamic and organic certifications focus on soil and farming practices, while BevVeg! focuses on the winemaking process. In the future, we do plan to lobby for vegan agricultural practices and hope to increase awareness of issues pertaining to vegan agricultural and farming. However, at this time, we are primarily focused on beverage making, filtration, and bottling process. 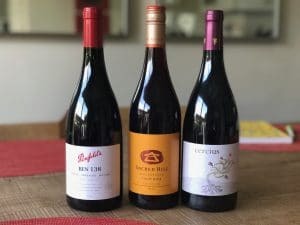 Can you recommend a few vegan wines? There are so many wonderful vegan wines that are available for wine enthusiasts to enjoy. Here at BevVeg! we are certifying new wines every day. For the most up to date information on BevVeg! certified beverages, we recommend that consumers visit our website or download our free app, which they can use to find BevVeg! certified vegan wines. We can confidently recommend these vegan wines for the vegan wine enthusiast: Vice Wines from Napa Valley (Pinot Noir Rose & Sauvignon Blanc) and United Nations of Wine Leopard Frog from South Africa (Frisky Zebras Seductive Shiraz & Sensuous Savignon Blanc). We have federal Importer & Wholesaler license and are in the process of starting a BevVeg! wine club. Vegan wine enthusiasts can sign up now to receive the latest updates and secure their place in the BevVeg! wine club where we will make further recommendations. We are working with master sommeliers to feature the best, most recommended vegan wines for those with a fine wine pallet, so to speak.